Drake's Bay Oyster Company might lose lease to farm delicious oysters near Point Reyes. According to the owner, the oyster farm produces more protein per acre than cattle ranching, and does it without pesticides or fertilizer. 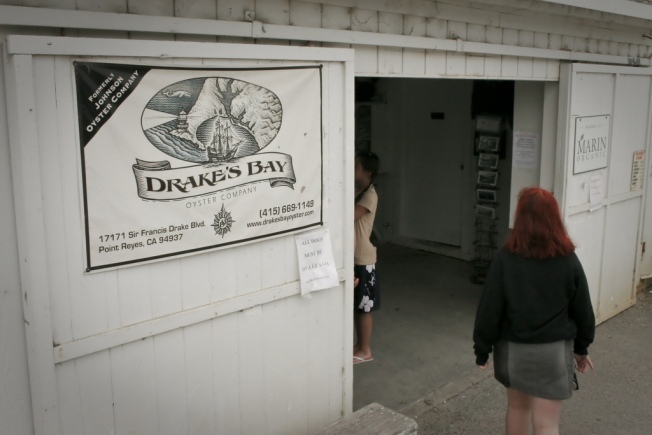 In an only in Northern California battle that pits environmentalists against organic farmers, the Drake's Bay Oyster Company in Marin County might have to close up shop in 2012. The oyster farm, purchased by rancher Kevin Lunny in 2005, is located on the Point Reyes National Seashore under a lease, but predates the creation the creation of the federally protected land managed by the National Park Service. It's the largest producer of shellfish in the state, and according to Senator Dianne Feinstein, the only shellfish cannery left in California. But Jon Jarvis, former regional director for the National Park Service, doesn't like it -- and he's just been tapped by President Barack Obama to head the park service nationwide. Nor does Fred Smith, the Environmental Action Committee of West Marin's executive director. Lunny has accused Jarvis of issuing misleading reports about the farm's ecological impact, and the National Academy of Sciences has backed up Lunny's claims with an independent report. The EAC has commissioned a third report from the Marine Mammal Society. Feinstein has inserted a provision for a ten year lease extension in the Interior Department's appropriations bill, but the Interior Department has interpreted congress's designation of the site as "potential wilderness" to mean that it should get rid of the farm as soon as able. Which would mean fewer oysters on the table for Bay Area residents, as the operation produces 40 percent of the oysters grown in California according to Lunny. Jackson West likes few things in the world more than fresh oysters, except for maybe public land.